"Homer the Heretic" (season 4, episode 3) is indeed a classic episode. On an especially cold Sunday morning, Homer is reluctant to go with his family to church. Ripping his stupid itchy church pants is the final straw, and he declares he's staying home. Marge tells Bart that Homer isn't going to church with them because he's "resting." "Resting" hung-over, "resting" got fired... Marge doesn't clarify. Having the house to himself, Homer then proceeds to have the greatest morning ever. He whizzes with the door open, sings in the shower, cusses, dances in his underwear to "Short Shorts," wins a radio call-in contest, watches some Three Stooges, and an unscheduled football game, finds a penny, and makes his Patented Space-Age Out of this World Moon Waffle. He now has a new reigning champion as official best day of his life, and he owes it all to skipping church! He then gives up his faith. After Marge prays for him, he has a dream in which he meets God. This is special because he usually dreams about naked... Marge. Yes, God has 5 fingers. 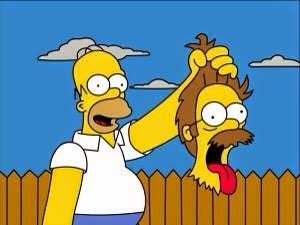 After a discussion with God, Homer decides to just live right and worship God in his own way. He calls in to work due to the feast of Maximum Occupancy, and thwarts all of the Flanders' attempts to welcome him back into the flock. Why Ned wasn't in church, I'll never know. After Homer regains consciousness, and realizes that God was working in the hearts of his friends and family that saved him, he decides to give church another try. Daaaaawww. This recipe is for Homer's Patented Space-Age Out of this World Moon Waffle. Despite the gluttonous gross factor of liquid smoke and an entire stick of butter, I got a lot of requests for this recipe. The liquid smoke was actually kind of nice with the caramels- I'm serious! Just don't use too much, it is a little over-powering with it's "woodsy" flavor. Also, I did have almost as hard a time cleaning my waffle iron as Marge did. 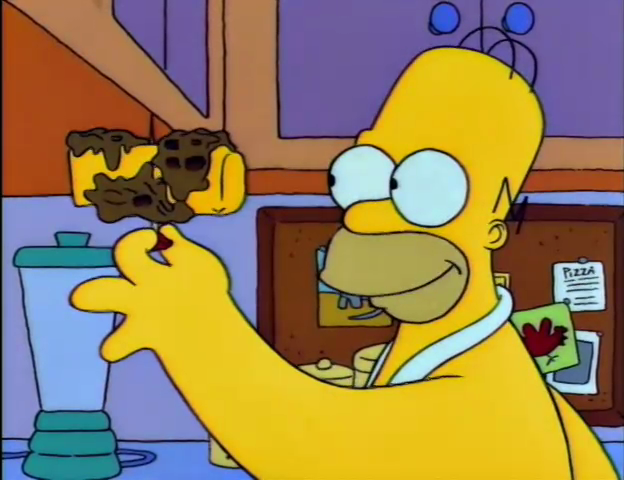 The only change to Homer's original recipe that I suggest is to put the waffle batter on the waffle iron first, then the caramels. And of course feel free to use less butter. Heat waffle iron, then spray both sides with lots of non-stick cooking spray. Add amount of water listed in the instructions to pancake/waffle mix, and shake. Pour batter onto the iron. Top with caramels, and a few dashes of liquid smoke. Close lid of the waffle maker, and use your finger to enjoy the run-off. When your waffle is done, wrap it around an entire stick of butter, and skewer it with a toothpick. If any drops onto your naked chest, just have a dog lick it off. Mmmm... Fattening. This recipe is Lisa Friendly. This is a great idea for a blog! 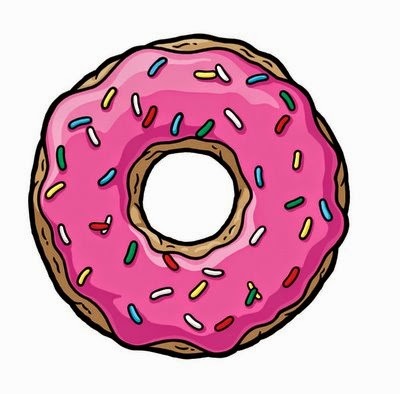 Love the combo of Simpsons and food. Promise I'm not an SEO spam bot. Looking forward to more recipes, I wanna try these!! If you need a new Neighborino, I'm "Porkloins52" Add Me!